Kira and Mia, aged thirteen and twelve, played outside their Victorian styled home until their mother called them in for dinner. Dressed in identical frocks, their ponytails tied with ribbons matched the colour of their socks, and the two buried their noses in the sand hills, climbed up the trees, spoke to the curious bunnies offering them carrots and swung on the gates; they lived in a paracosm world of their own. I watched the two of them from my apartment opposite theirs, reliving my childhood days. My life, what was left of it, was spent in the 8 square-meter between the window overlooking the girls' house and my bed. I was confined to my wheelchair and just pushing myself from the bed to the window left me panting. So there I stayed, all day, watching, listening, smiling at their antics. It was clear that the mother favoured the elder one, Kira. It was always, "Kira, I got you your favourite chocolate cookies", "Kira, you got an A in your science class. I am so proud of you", "Kira honey, come fast, the dinner is getting cold". I never heard the younger one's name from her mouth. And the father was always travelling, one business meeting to another. When he did come home, he bribed his way to the elder daughter's heart with a gift or two but nothing for poor Mia. If I could, I would go up to them and give them a piece of my mind. How could they differentiate between their two beautiful daughters? Do you know what an anchor does for a ship? It is often said that during life's roughest storms, one should stand firm as an anchor. But no one realizes the role of the chain, the series of rings that are linked to one another. It is actually the length of the chain that helps in maneuvering and steering the ship to the right direction. The length of the chain matters. If the chain is long enough, everything else is superfluous. Think of this chain as our relationships, and the links that make the chain, the people. In any relationship, it is how strongly you are linked to your people, is what really matters, that which helps your ship find that stability/security. Take your blogging relationships for instance. How many links does your blogging chain have? Do you have strong relationships with fellow bloggers, that will provide you the necessary support when needed. Or are these links superficial, disconnected and detached? The number one 'Rule of Engagement' in any relationship, is to form strong links. As bloggers, how do we do that? I'm in a dilemma and I need your help. For me blogging, which started out as a way to take my mind off from the real world and make an attempt to move past the negativity that surrounded me then, trying to makeitbeaYOUtiful - evolved with each post I wrote. 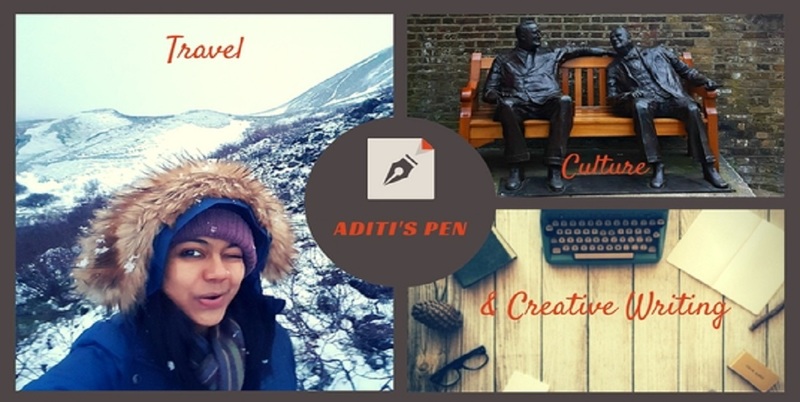 From random musings to sharing snippets of personal life and thoughts, I found my mojo in fiction writing, bemused attempts at poetry and the occasional travel diaries. The day I proposed to her was the last day I saw her. I thought we were happy together, I thought when I slipped the engagement ring on her slender finger, the tears in her eyes were of happiness. How could I have misread the signs? She left for work at the usual time that morning. I had popped the question while we were having breakfast - Spanish omelette and black coffee with a spoonful of cream and no sugar - just the way she liked them. Then I bent over and pressed her plump lips against mine, the bitterness of her mouth feeling sweet inside mine, and took her by surprise when I took out the ring. London has been grey, damp and windy for the last few days. All I want to do is curl up in bed with a cup of hot coffee and idle away, day dreaming of my novel that I hope will write on its own. But the writer in me who is trying to successfully complete #NaNoWriMo this year pulls me out of this lethargy, persuades me to put on something decent, grabs the coat and umbrella and drags me to the nearby cafe. We take a seat that offers a view of the street and watch the passersby as we sip on the delicious cappuccino. 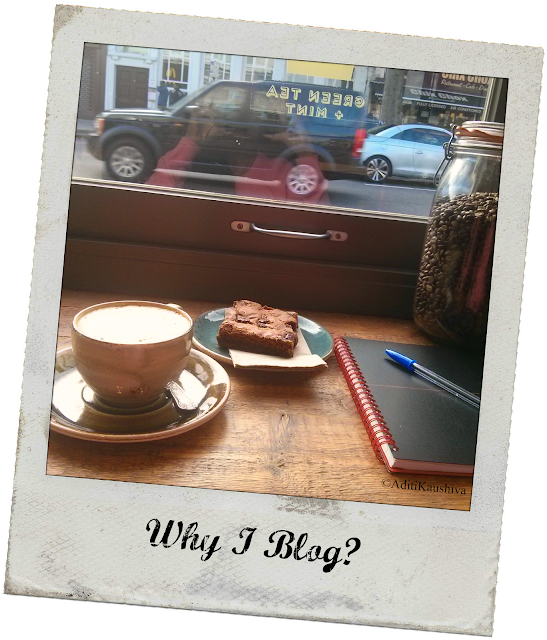 I slyly lick the foam off my lips and my thoughts wander to my writing space, this blog.